1. Put together a Sparkling Dessert Table. 2. 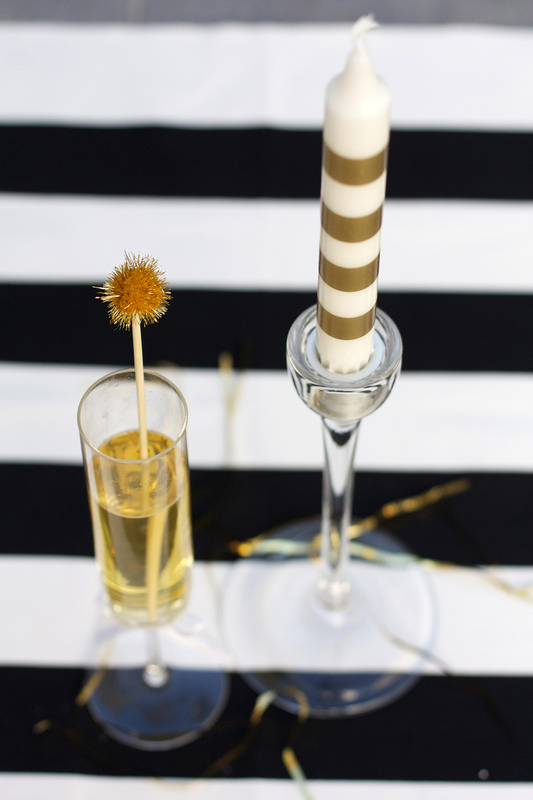 DIY these Gold + White Striped Candles. 3. Adorn your balloons with these tassels. 5. 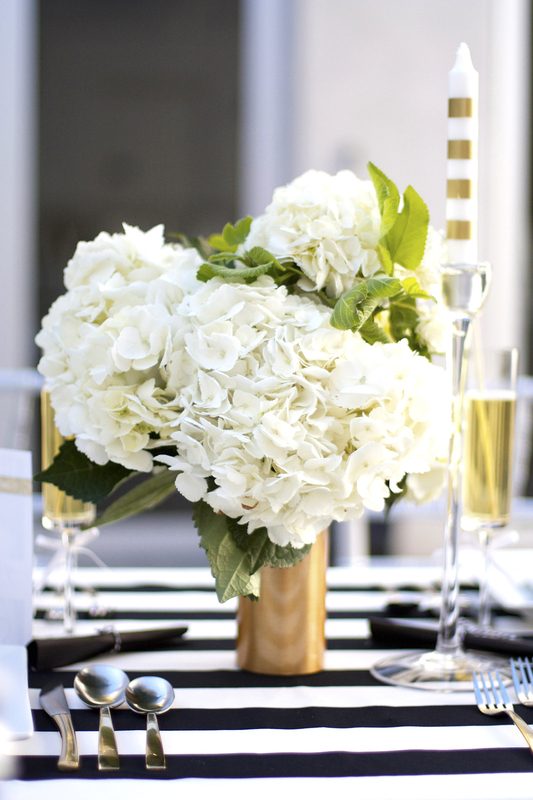 Make your own gold vase centerpiece from the dollar store. 6. Serve some gold shimmer meringues for dessert. 7. Send guests home with some DIY swag bags. 8. Make your drinks festive with these DIY drink sparklers. 9. Wear these DIY gold headbands. ... or make a 2014 gold tinsel party sign as a photo prop. 11. Hang some gold glitter garland. 12. Decorate with some gold-dipped feathers. 13. Arrange flowers in DIY gold glitter vases. 14. Rock a DIY gold headband. 15. Serve popcorn in gold sugared glasses.